OPI... Eurso Euro | Light Your Nails! È uno dei miei colori preferiti x lo smalto!! Anche io adoro il blu sulle unghie! Grazie Sara! E' vero, la reputazione li precede! It's definitely one of my favorites. I really liked that whole collection to start with! I agree Cynthia! That was a great collection! Absolutely stunning, what a perfect swatch! 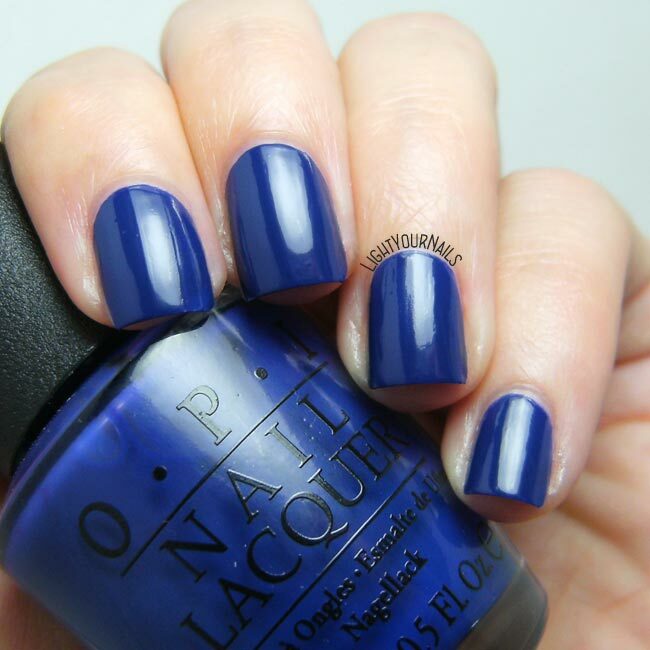 What a gorgeous, rich blue! This is a gorgeous blue. It's deep, rich and vampy! This is one of my most favoritest blues ever! It's so perfect! I agree although I have a couple blues by China Glaze that I also adore. Blurples are a favourite, too!